The turquoise blue waters of Banff’s Lake Louise draw millions of visitor every summer. They come in by the busload (literally) and take in the famous vistas, leaving long before the first snowflakes fly. Little do they know that they’re about to miss Banff at its best– with three ski resorts, world-class Nordic skiing, smaller crowds, and a touch of royalty, it’s a secret that won’t last long. 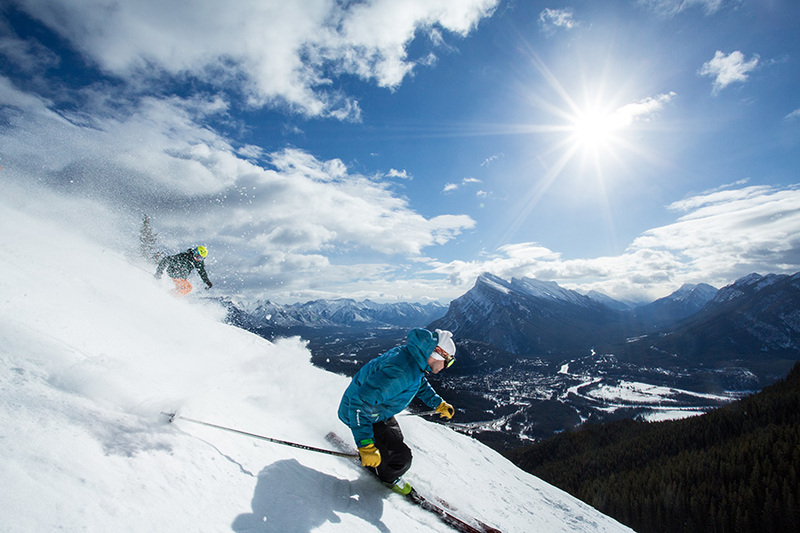 To celebrate Mt Norquay’s 90th anniversary the resort will offer lift tickets at the super discounted rate of 90 cents. (No, that’s not a typo!) On five pre-selected dates skiers and riders can purchase the special lift tickets with the option to also make a donation to a local charity. An easy five-minute drive from the town of Banff, there’s no doubt it will be the best 90 cents you’ve ever spent. 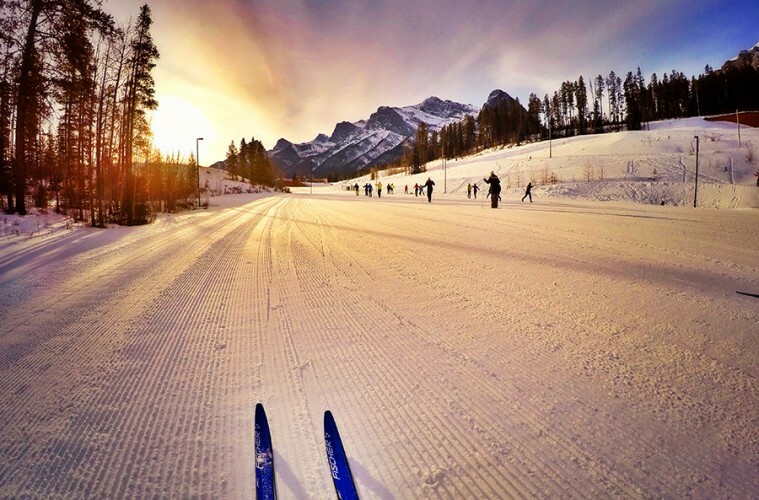 Home to the 1988 Olympic Nordic Skiing competition, the Canmore Nordic Center is a must-see no matter how long it’s been since you donned spandex and skinny skis. Explore 70 kilometers of groomed trails on Nordic skis–there’s no shortage of stunning views–for a mere $15. Sunshine Village sits in the peaceful high alpine far from the usual hustle-bustle of American resorts. Ride the 8-person gondola from the parking lot to the village where you’ll find everything you need for a well-deserved weekend getaway (except an excess of people, condos, and noise). Fine dining, an eco-friendly lodge, killer views, and some seriously adventurous terrain await. 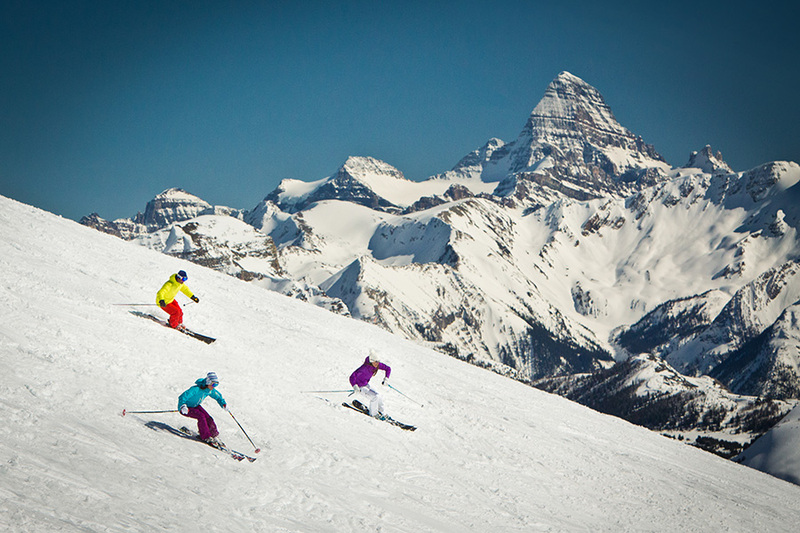 Grab your Mountain Collective pass and head to Lake Louise, stat. 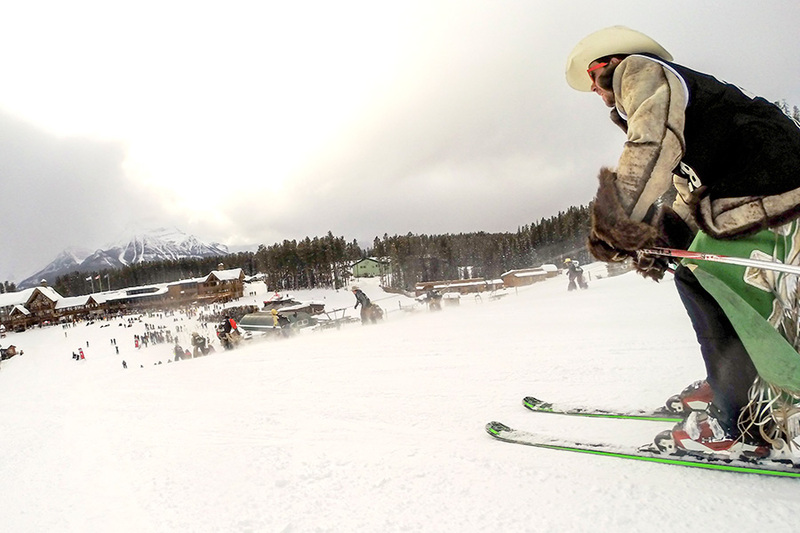 The largest resort in the Canadian Rockies is bucket list worthy with everything from chutes and glades to open bowls and cowboys on skis. You won’t want to miss the annual Ski Louise Stampede, a Chinese Downhill made up of real cowboys– chaps and serious carnage guaranteed. You might expect to dine like royalty in some of Banff’s white linen type restaurants, but how about in the backcountry? 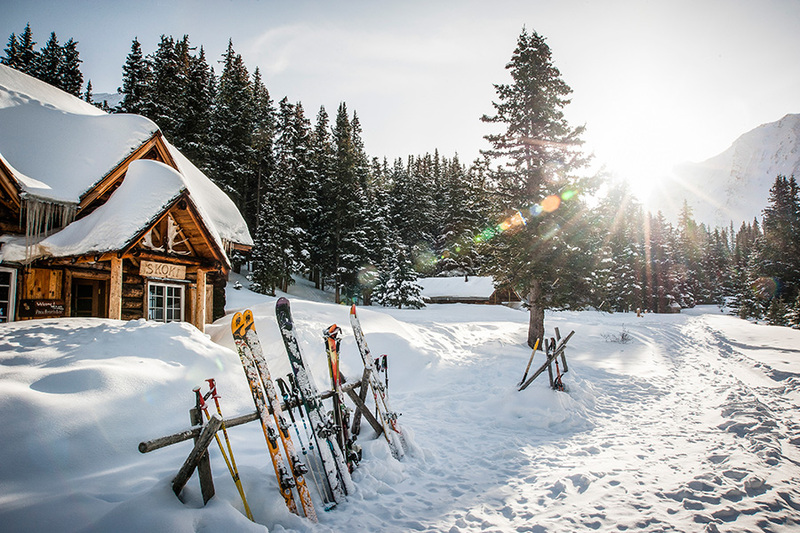 A visit to Skoki Lodge (a full service backcountry hut outside Lake Louise accessed by foot, ski, or snowshoe) offers cuisine made fresh daily–with no running water, mind you–that is so good you’ll consider making the 6-mile trek twice. Prince William dined here on the royal honeymoon, so if its good enough for him, we hope you’ll oblige.